When it is time for your business to assign resources for social media marketing, consider utilizing a skilled marketing firm. With the right marketing in place, your social media activities can generate plenty of qualified leads that will easily convert into customers. Online marketing strategy – does the firm provide alignment with your overall online marketing strategy and your social media marketing initiatives? Make sure there is coordination between your web site campaigns, emails and your social media posts so that you can fully capitalize on your marketing campaign investment. Timing and frequency – work with your social media marketing services partner to make sure your posts are timed based on your target audience preferences. Some marketing companies simply default to early morning social media posts. This can be a crucial mistake because some target markets may prefer to look at social media posts at other times of the day, so your timing is important. Make sure to review and test some posts at various times to determine what is the most effective. Also there is a balance in the frequency of posts. Too many social media posts can flag your business as spam or abusive. Too few social media posts can be ignored entirely. 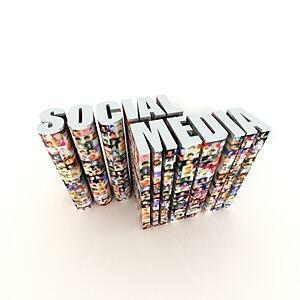 Again, monitoring and tuning is an essential part of social media marketing services. SEO – search engine optimization (SEO) should be utilized in all social media activities. This not only makes the most out of your keyword and phrase research, but it also helps you to improve your overall search engine rankings. Feedback – review all feedback and comments from social media activities and be as interactive as possible with your target audience. Even when the comments are negative you should handle them professionally according to your business philosophy and culture. The right approach can turn a negative post into a good learning experience for other readers that foster loyalty and engagement.